And Android Auto, and the ability to zoom in/out in Nav, and better wheels on the Advance, and wireless charging, and smoother shifting at low speeds, and a spare tire, and a less buggy infotainment system. If only. At this point, it's not even about the lack of features or ugly wheels, it's about reliability. I will be really pissed to trade in for something that rattles, moans, jerks and reboots. Evil is an odd choice of words. But okay. Thanks for the advice. How about just going back to the mid 2K's way and not using all of those BS features. Seriously, I can't speak because I have no experience with Apple Carplay, Android Audio or anything more than XM, CD, AUX or BT streaming. I hear ya. They put so much tech in these now that driving these is no longer the focus. Give me a good sound system, comfortable seats, a good suspension and drivetrain. I'm good. Are we completely ignoring the fact that some people just buy newly-released cars for the simple reason that they’re new, and that once they become commonplace on the streets, they get rid of it and buy something else (that’s new)? Early adopters and Innovators in marketing speak. I’ve bought 18 cars in the last 13 years, change phones every 9 months, but fortunately kept the same wife for 17 years and counting! I’m actually a bit concerned by how many RDXs I’m seeing on the roads and have started making plans to replace it. We have "wasted" a lot of money on cars! I haven't seen many RDX's in the wild here yet.. though one day I pulled up alongside a twin of mine, a little old Indian women was driving it. We early adopters know we are beta testing.. it's always been this way with new models which is why so many shy away. Don't think we are ignoring. These folks typically have higher tolerance to problems and usually put up with it for having new toys and they know anything not wear and tear are dealers problems after lease ends. I parked 4 spaces away from another A-spec in the same colour as mine a while back and I actually felt a bit nauseous. The car itself is fine. But I just wish they’d stop selling so many!! If only the RDX had better ambient lighting, and a better resolution camera, and LED tail lights, and Android Auto, and the ability to zoom in/out in Nav, and better wheels on the Advance, and wireless charging, and smoother shifting at low speeds, and a less buggy infotainment system. If only. And the Tail lights are LED...the rear turn signals are not, but the tail lights are. If only the RDX had better ambient lighting, and a better resolution camera, and LED rear turn signals, and Android Auto, and the ability to zoom in/out in Nav, and better wheels on the Advance, and wireless charging, and smoother shifting at low speeds, and a less buggy infotainment system. If only. 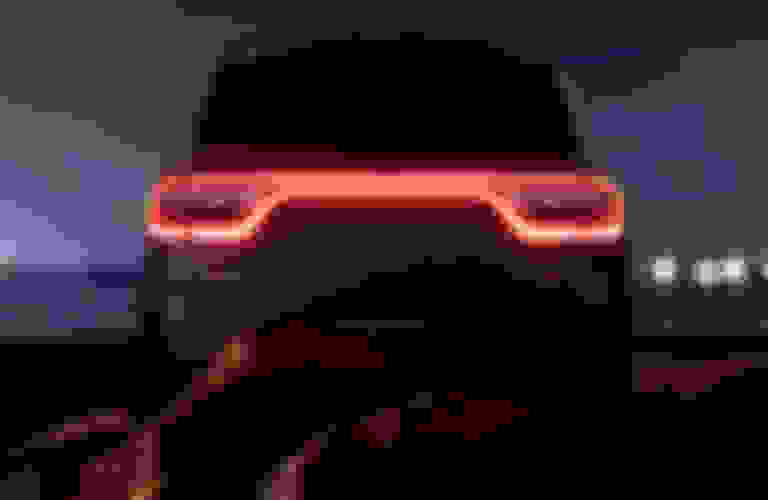 Last edited by Stew4HD; 01-15-2019 at 01:17 PM. My point being that this is what Acura produced. many of us love ours but if it doesn't work for you, move on to something that has the features you want for the price you want to pay. Okay. I guess I will. Thanks. Good luck in your search. So many choices out there! I'm in a Q3 while my RDX is getting some body work done and I can't wait to get it back. It's not the size (actually prefer the smaller size), the refinement is completely missing in the Q3. I do have several gripes about the RDX, but the pros outweigh the cons. I also realize Q3 is in a class lower. - Good design interior and exterior and appearance of quality. - NSX inspired shifter is awesome. - Implementation of the tech could be better. - Can't access trip computer or any other car functions when on a call. - Backup camera should stay on when moving forward after backing up for at least a few seconds. - MPG is a little low. [QUOTE=rgoldd;16365408]I hope you saw the crash test on it and that the IIHS said not to buy it and you knew they were changing the model for 2020. Like I mentioned above, this is just an interim vehicle. I have yet to see another '19 RDX on the road. There are 2 dealers equidistant from me and I watch their turnover online so I know they're selling so people must be purchasing them as collector items or something. Passport seems cool. A V6 in a smaller package. Will have to observe one once released. Love the V6 but I think that they are using the ZF9 in the new Passport. Hate that transmission. Without the ZF it would be a serious consideration. Yeah I’m not impressed with the Q3 but like you said it’s a class lower. Better comparison would be to the Q5. Out of all the little imperfections with this car, one I just don't understand. What is people's fascination with LED tail lights? I mean seriously, who cares what kind of tail lights are on the car? As the driver, you don't ever see them. And other drivers can see your car just fine at night regardless of the type of tail lights and they certainly don't care. Other than them being longer lasting, with replacement cost for regular bulbs being a couple of dollars, would someone please enlighten me as to the benefits of LED tail lights? It's just one of those little things that makes it complete and separates it from a cheaper vehicle. When you're spending nearly $50K it's nice to have those little touches. would someone please enlighten me as to the benefits of LED tail lights? Overall my gripe with the 2019 RDX is that it's not a "luxury" vehicle, but more like a top specced Honda, which isn't a bad thing but it's not what I was expecting. I know it's a hot selling car, but I wonder if they are attracting luxury buyers or just mainly convincing mainstream buyers to pay a little more. I don't think I would switch over to a Ford Explorer though, sounds like a pretty drastic downgrade even from the RDX. This is Acura’s biggest issue IMO. They are not a luxury brand...more like a “premium” brand. They are not competing with Lexus, BMW, Mercedes, etc and they fall into that weird in between area that Volvo used to occupy (they’ve moved more towards luxury brand), Buick, etc. In the end Acura’s are expensive Hondas in terms of feel, build quality, etc. There’s a very tangible difference between a highly optioned Toyota and a Lexus - there is not between a highly optioned Honda and an Acura. Part of the problem....how can Acura sell less than 2K RLXs and a few more ILXs and stay solvent? Low sales has resulted in cost-cutting IMO. I don't get it either. It isn't like LEDs are gold plated. I can only guess that people think LED's are so special is a perception that LEDs are better than incandescent because it's newer tech and can be brighter. Maybe it's that LEDs last longer though incandescent can last many, many, years. In the end Acura’s are expensive Hondas in terms of feel, build quality, etc. This is exactly what I've been thinking (and saying) during my search for a new car. The Acura is not a luxury vehicle. It's a premium Honda. Nothing wrong with that, but that's what you're buying. It's funny you say this. I too drive to work in the dark and I've been studying the rear tail lights on cars ahead of me. What I have noticed is just the opposite of what you have. The better done LED tail lights are more subdued. Softer. Easier on the eyes. Not ultra bright and harsh -- at least not the tail lights. Take the Dodge Durango as an example of what I'm referring to (see pic). This is not about the quality of the vehicle, simply an example of nicely done LED tail lights. You are right, those are much easier on the eyes. They are quite visible without being overly bright I don't know what the turn signals look like on those though. Why does anyone care about what the outside of their car looks like? I mean you're sitting inside most of the time anyways who cares what design features it has on the outside. For me it's about safety. It's not about what they look like TO ME. I know that I can't see them when I'm sitting inside my car. But people driving behind me CAN see them. 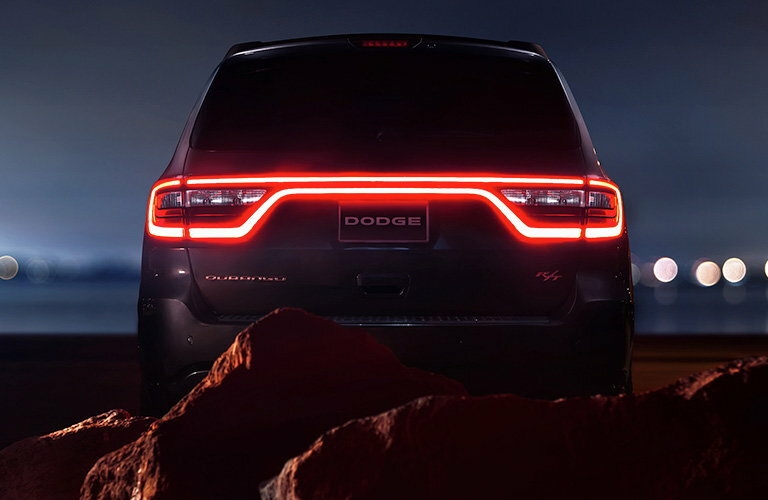 You simply can't miss a Dodge Durango in front of you in the dark. I like that added safety. Isn't that what the lights are there for? There's nothing wrong with making them more visible and easier on the eyes. I encourage you to go drive a new Odyssey or Pilot with the 9HP. With the latest hardware and software revisions, I now find it smoother and more decisive and would choose it Honda's 10AT. Still, none are as refined as Honda's "old" 6AT that is still hanging on in the Pilot and Ridgeline. As previously noted, perhaps Acura/Honda is compromising luxury for mass marketing. I remember the first Acura that I drove, a '88 Legend LS, which was undeniable luxury. Likewise, I was very pleased with both my '08 and '11 RLs. What defines luxury in a vehicle and why isn't Acura comparable to Lexus? Have you all sat in or drove an RLX?